PC's Blog: The first HoN comic! Oh boy! Oooh! So, here's the cover of the first HoN comic! It's the one with the forest cats and Zoey! It'll go on sale November 9th, and Dark Horse (my awesome comic publisher) is selling this first one FOR $1.00! Seriously! It's the first of five comics, which will release one right after another monthly. They're set between the first few books. You get Z and the early nerd herd, and you also get ancient vampyre stories woven within the modern story. Also, here's a cool close-up of Zoey from the big announcement poster Dark Horse did at ComicCon. I think the artist did an amazing job! *Additional note: The comics will be available in all stores that carry comic books in the US, UK, and Canada. In order to be sure they get the very first issue fans need to go to their local store and ask to pre-order (for $1.00!) the HOUSE OF NIGHT issue #1, on sale November 9th. Can't wait to hear what you guys think! Omg awesome. Will these be available in the UK? Hi Siobhan! Yes, they will be released at the same time in the UK. For the rest of the countries where the HoN is published: sorry, but I don't have a release schedule for anyone else yet. I'll let you know when I do, though! are there only going to be five or will there be more afterwards? OMG, that is so exciting! It's going to be fun to see all the character's in action. Isn't GODDESS OF THE ROSE coming out in comic form as well or did I miss its debut? Congratulations to you and Kristen! Shannon - yes! Good memory! Goddess of the Rose is, indeed, coming out with Dark Horse. I don't know the exact release month, but I think it'll be summer 2012. Will there be a compilation in book-form that'll come out after them all? Good question Hayden! Yes, there will be. It'll be awesome. I'm loving the art and the UK cover :) HON has really good taste. Oh godess! They look awesome!! I have a friend going to the States on november, so I'll make sure to ask her to buy them for me. And, of course, a brand new copy of DESTINED. Anyway, congratulations PC, I can't wait to see how it turns up, it looks soo beautiful! They're both Zoey, just two different artist renditions. The one with the cats is by the artist who will do all the covers & modern interiors. The other is part of a huge poster revealed at ComicCon. ooh ya i agree with Melindinda where will these be available? Guys, check out my additional note on the original post. I don't know who controls the HON site, but i just want to let you know that the Get Marked section, loading photos, is still not loading any photos at all, even if they are under 1mb. I just want to let you know, since HON is your world. The markings are probably from your design. I've tried many.. many photos to see if it'd upload, but nothing. cant wait super excited totally gonna be first in line for these!!!!!!!!!!! Yes, Kittie! The UK version will have the same art! Thank you so much for passing the word along to your publishers. *nods* Hopefully they can fix the problem. The comics have nothing to do with the movies. i live in finland and dont know enyone in the uk us or canada so its hard for me to get the comics so i just wanted to ask does anyone know can you get the comics on amazon or something like amazon?? Loving the artwork, I also did not realise that you wrote for Mills & Boon. Those of you outside the US and UK: you can access the comics through the Dark Horse website - should be able to order from there. Enjoy! I am going to ask my bookstore here in OZ if they will be ordering them in. I could then let you know perhaps so you could let other OZ readers know where to get them? The art work is great. I love the first pic! Although they aren't what I picture Zoey to look like in my head lol! Hi Ang! Yes! If you'd let me know where they're available I'd be happy to post! Thanks (and good to hear from you). Great pictures indeed, but I need to read more before discovering the comic books! I discover Marked right now, and I "lurve" it (new word I learnt when I saw a very funny interview..). You and your daughter are amazing writers! great narration, great story, and I'm really interested in the background mythology you tap in (as I was when reading the Divine Series). Is their any new reports on the movie for the house of night? um, do you know when they will release the book trailer for Destined? I understand if you dont. Just wondering.. also teasers and lines from the book? they did that for awakened, so im assuming they will do that for Destined as well. Thanks! Do you happen to know the ISBN # for the comic's? I have contacted my bookstore here, and she hasn't heard any news on them being available here yet. But she did say if I could get the # it would be easier for her to sort it out. Meg - When I have movie updates I'll post them here. Sabrina - I think my publisher is doing a trailer for DESTINED, and I'm sure they'll be releasing sneak peek lines, etc., but I don't have the schedule for that yet. That's a good question Melindinda - the variant cover is from the poster Dark Horse created for the unveiling at ComicCon. 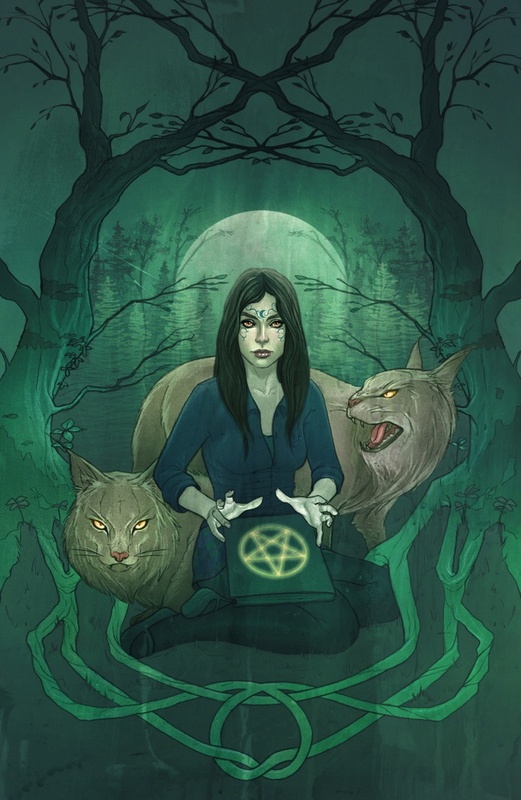 The other cover (green one by Jenny) is the "standard" cover - Jenny is the cover artist for these five comics. 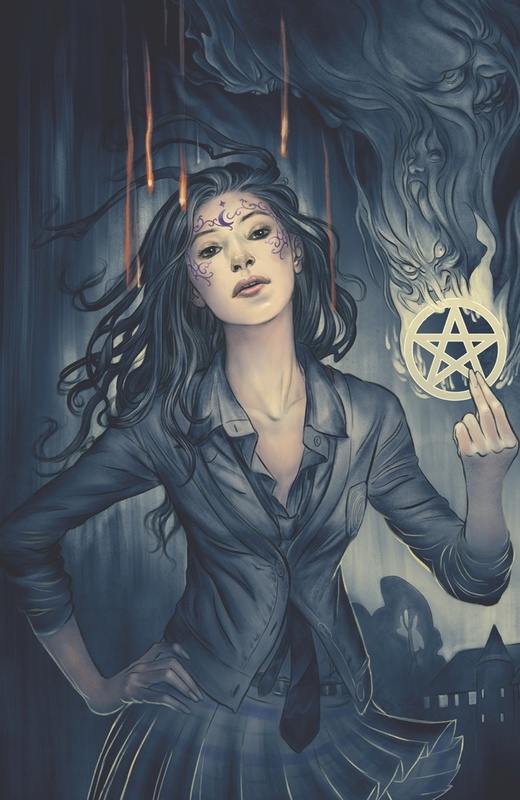 There are so many YA books coming out with comics/graphic novels, but I think this one has the best art. I'm excited to read these! Hello, I am so excited about this! I am gonna keep searching for UK releases :) But I also wanted to ask will you and Kristen be touring in the UK next year? Us british folk love you!